Voter ID laws may strike the overwhelming majority of Americans as nothing more than common sense, but to Democrats, they are an assault on voting rights. As a front-page feature in Monday’s New York Times reported, that’s the way liberals view the Justice Department’s shift on the issue since President Trump took office. Democrats used the federal government to prevent states from enforcing voter ID laws and other measures to clean up voter rolls and protect the vote during the Obama administration. But since January 2017, the government has changed sides on a host of voting integrity issues the left has deemed attempts at voter suppression and therefore one more reason for rage at Trump. While the issue has become politicized in recent decades, its context is rooted in America’s racist past. For a century following the Civil War, Jim Crow laws aimed at preventing African Americans from voting or holding office rendered the promise of American democracy a lie in many states. This fight only began to be won in 1965 with the Voting Rights Act, which prohibited racial discrimination in voting and was expanded five times. In practice, it not only banned laws that were thinly veiled efforts to prevent blacks from voting but also directly involved the Justice Department in reviewing any changes to laws, procedures, or drawing districts for local, state and federal office, to prevent the old racist traditions from making a comeback. Few pieces of legislation have had such a powerful effect on American life. Within a generation, not only had the racial barriers to voting been toppled but also blacks had attained elected office in states where the laws had once ensured their marginalization. 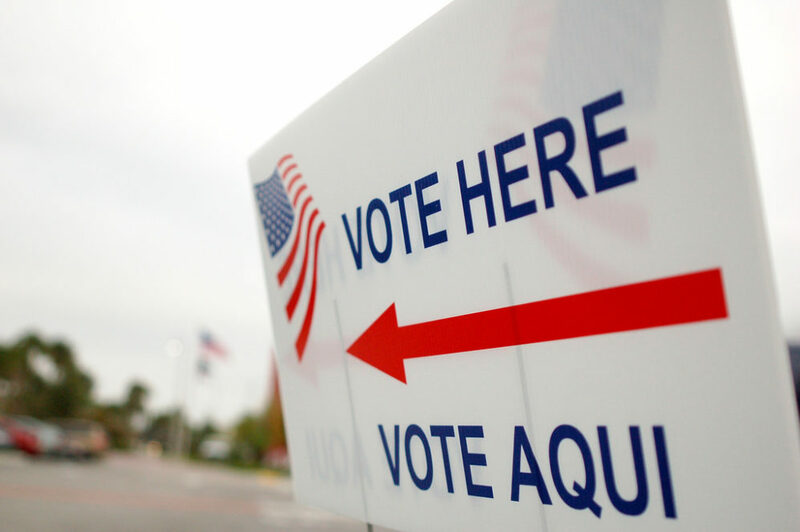 Thanks to the courts expanding the Voting Rights Act’s meaning, the creation of majority minority districts ensured a vast expansion of minority representation in Congress and legislatures across the nation. But with legal segregation extinct and voting rights secured, civil rights organizations and their political allies were not prepared to declare victory and move on to other causes. Although the Supreme Court correctly ruled in 2016 that the Justice Department’s supervision of states that had racist rules more than 50 years ago was no longer necessary, left-wing ideologues are determined to pretend that the battles of the previous century still need to be refought. With their raison d’être inextricably tied to a concluded struggle, they needed to manufacture new threats to minority rights to pretend that the country was only a misstep away from returning to Jim Crow. Mainstream Democrats were complicit in this deception, since they believed panic among African Americans about voting rights was essential to their party loyalty. When Vice President Joe Biden claimed that the 2012 Republican presidential nominee would “put you all back in chains,” that offensive piece of incitement was treated as typical of his hyperbolic style. It actually betrayed the mindset of Democrats eager to pretend that the epic struggles about civil rights that had concluded a half-century earlier were still being fought, with only their party standing between blacks and slavery. Thus, Democrats’ crusade against voter ID laws cannot be understood except as a cynical attempt to revive black fears and brand Republicans as racists even when evidence for their accusations is sorely lacking. Articles such as The New York Times feature take it as a given that voter ID is an exclusionary measure aimed at suppressing minority voters. That was the position of the Obama administration, but only by embracing that assumption can one declare the Trump Justice Department is betraying its obligation to defend voting rights. Not only is there no proof to back that up, it ignores a consensus of public opinion among both whites and blacks that sees voter ID and related measures as common sense. While Democrats and The New York Times editors prefer to ignore this reality, the rest of us know that you need a picture ID to get on a plane, ride Amtrak, open a bank account, perform any transaction with most businesses and government, and buy prescription drugs plus some over the counter products, not to mention alcohol and tobacco. Why is a vote less important than all of these transactions? States must preserve voting integrity, especially in an era of close elections. Given the potential for long, disputed outcomes (Florida in 2000 and several state elections since), zero tolerance for fraud seems sensible. After 2016, with Russian meddling on the nation’s mind, the need to ensure that the system is not being gamed in any form ought to be a consensus issue. It’s true that studies have shown that there is no evidence of widespread fraud in recent elections. But such studies ignore that, in many states and municipalities, elections are policed by the same politicians who have an interest in turning a blind eye against irregularities by partisans, making prosecutions both difficult and rare. While Democrats claim voter fraud is a myth, to believe that both parties and their supporters would never cheat if they thought they could get away with it requires us to ignore much of American political history and just about everything we know about human nature. Efforts to tear down possible obstacles to qualified voters, including same-day registration and early voting, are laudable in theory. But in practice they also mean that just about anyone can show up on Election Day without proof of his or her identity or place of residence. That ought to put a premium on assuring that voters are who they say they are. Acquiring a voter ID is not complicated. In states that have passed such laws, it may be obtained from the government free of charge, though admittedly costs such as transport are incurred. Those complaining about the Trump Justice Department’s lack of enthusiasm for opposing voter integrity laws claim they especially affect minorities. Their position is that minority, poor, and rural voters are less likely to have a driver’s license, passport, or some other picture ID than other people. But the notion that blacks, Hispanics, Native Americans or farmers are less capable than anybody else of complying with such a simple regulation is as absurd as it is insulting. There’s nothing racist about a procedure that can help prevent people who aren’t citizens or aren’t legally registered from committing fraud. What is racist is the notion that African-American and Hispanic voters who don’t have an ID are incapable of getting one. While The New York Times and liberals who long for the good old days when Eric Holder’s Justice Department was running roughshod over local authorities and seeing racism in every possible regulation intended to protect the vote don’t understand this, most Americans, including the people Democrats claim to want to protect, disagree. Up to 80 percent of Americans, including of minorities, favor voter ID laws. Public opinion surveys carried out by different pollsters, including Gallup, Rasmussen, and The Washington Post, all show that up to 80 percent of Americans favor voter ID laws. More importantly, they all also show that about the same number of minority voters feels the same way. Far from seeing such laws as reprehensible voter suppression, they see asking voters for the same sort of identification that other activities of lesser importance require as inherently reasonable. It’s likely they feel the same way about efforts to purge voter rolls of voters who are mostly dead or moved away from their old residences but liberals also claim are a plot against minorities. Changing the culture of the Justice Department is not, however, as easy as electing a new president. As The New York Times reported, career lawyers working for the department’s Civil Rights Division have resisted the administration’s efforts. Only by using political appointees have the new policies been implemented. After eight years of false accusations of racism from Washington, the Justice Department has returned to the side of those seeking to protect the sanctity of the ballot box. Doing so is not only constitutional, it is also common sense most Americans support, especially at a time Democrats are sounding alarms about defending the electoral system.